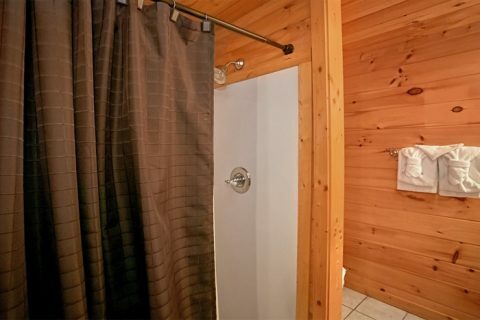 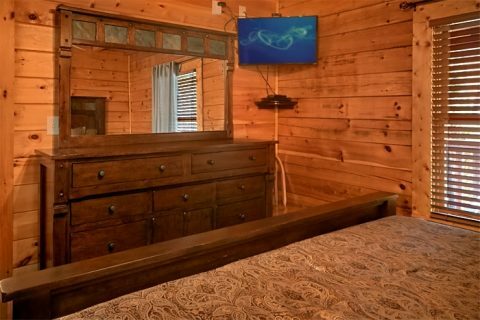 Cabin Rental Near Gatlinburg with Game Room -"Moonshine Manor"
Come stay in "Moonshine Manor," a 5-bedroom cabin rental near Gatlinburg with a game room, pool access, hot tub, and more! 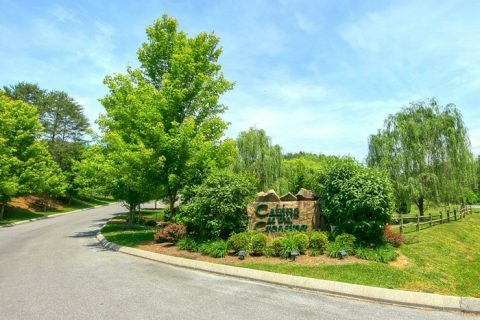 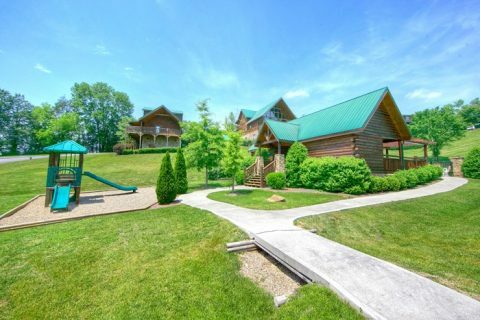 Along with luxurious amenities, your vacation rental near Dollywood sleeps up to 13 guests and rests minutes from Dollywood, Dollywood's Splash Country Waterpark, and several of the Smoky Mountains' most popular shows and attractions! 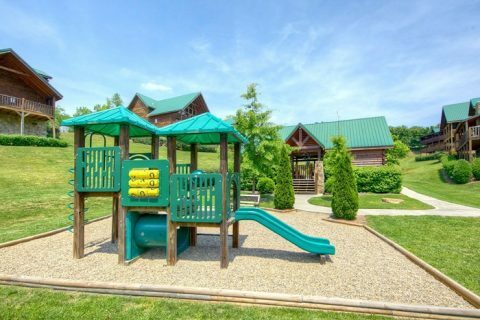 Located in Cabins at the Crossing Resort, your vacation rental near Gatlinburg places guests in a comfortable cabin resort setting where families can enjoy beautiful, landscaped surroundings, wide, easy to navigate paved roads, off-street parking, and, most importantly, the resort swimming pool. 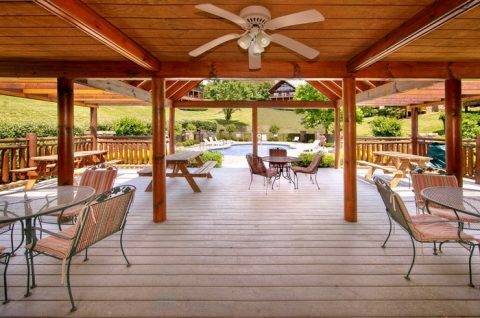 Your vacation rental offers guests access to a resort pool with pool house, changing rooms, poolside WiFi Internet, picnic pavilion, tables, seating, and a nearby playground. 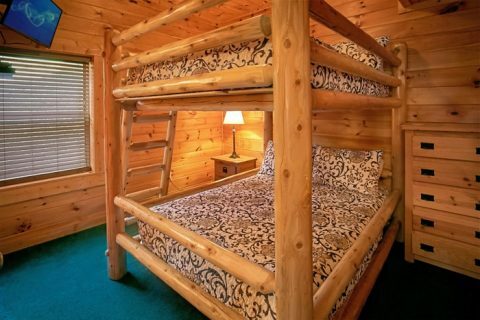 Your vacation rental near Dollywood provides ample amounts of sleeping and entertaining space for your large group. 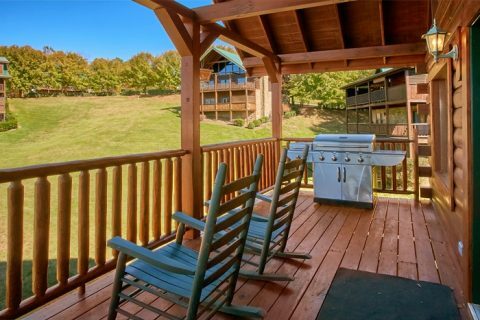 Enjoy family meals made in your vacation rental's spacious kitchen or host a cookout on the charcoal grill. 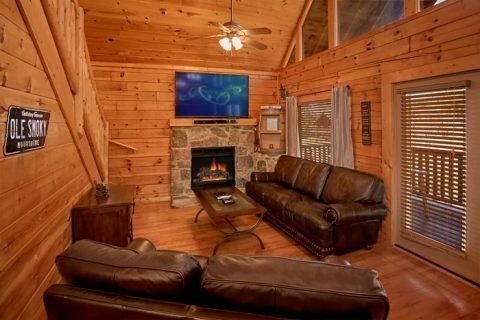 After dinner, relax in front of the living room's seasonal, gas fireplace with a couple of mugs of hot cocoa to share stories or watch a movie. 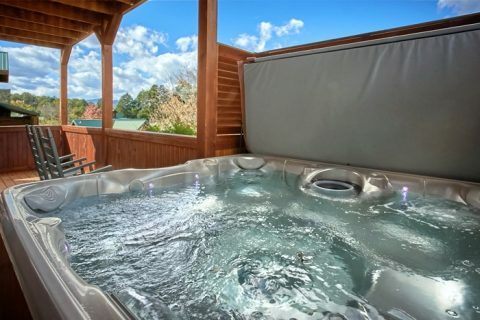 Take a relaxing dip in your year-round hot tub that overlooks the resort's swimming pool. 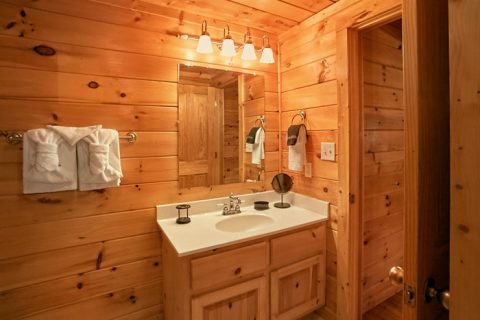 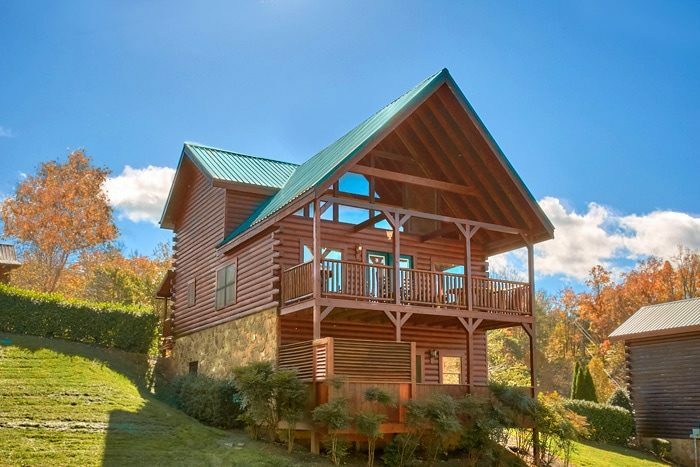 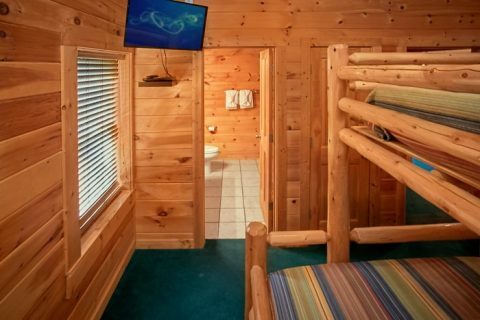 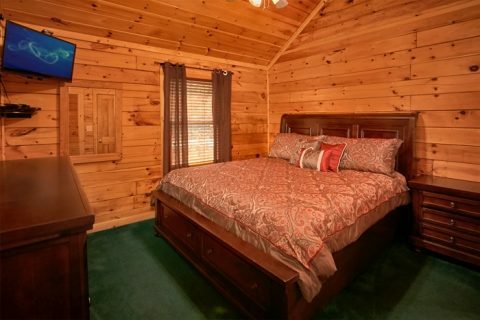 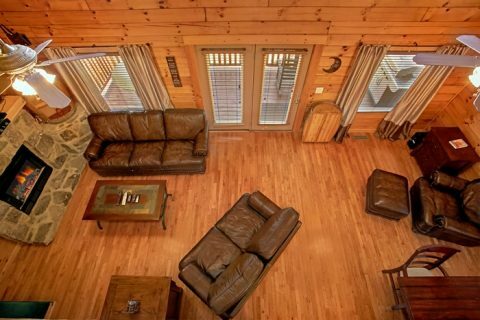 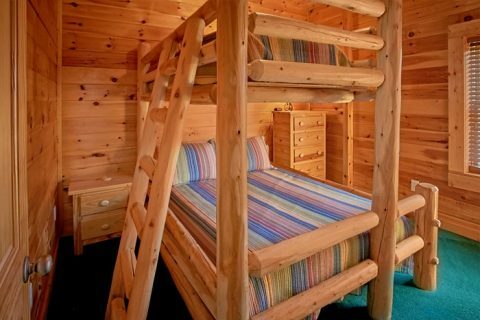 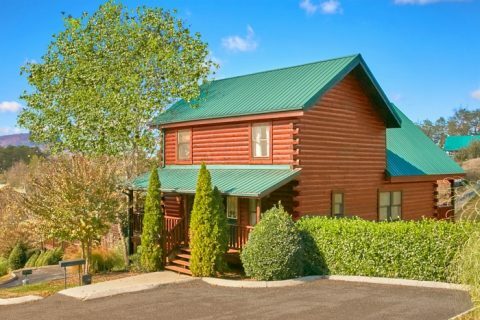 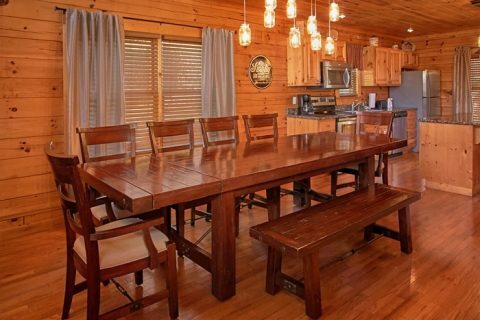 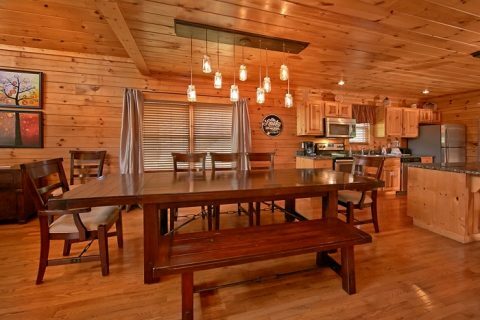 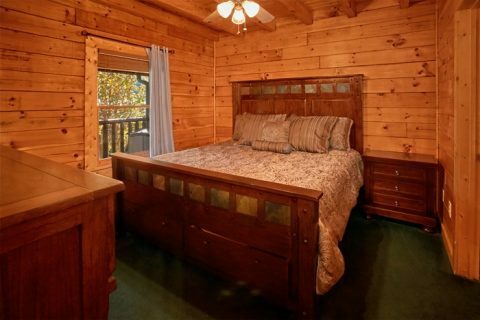 When it's time to turn in for the night, your cabin rental near Gatlinburg offers 5 bedrooms and 5 baths featuring 3 king-size beds, 3 queen beds, and 1 twin bed. 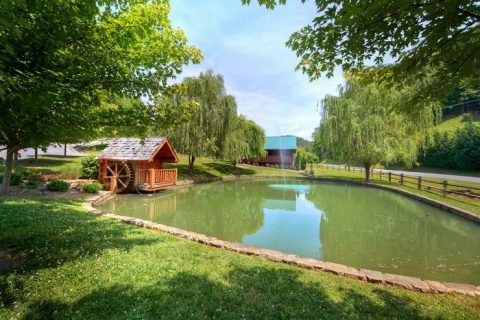 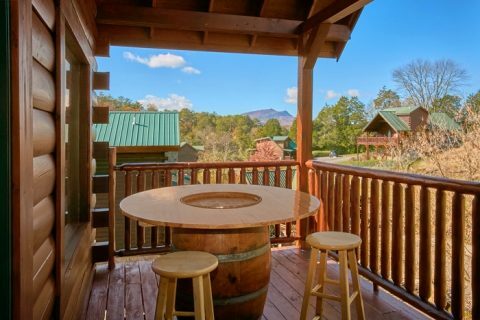 With nearby Gatlinburg and Pigeon Forge attractions and shows surrounding "Moonshine Manor" your family's sure to discover unending adventure in the Smokies. 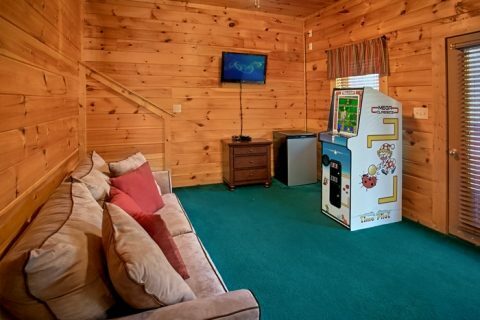 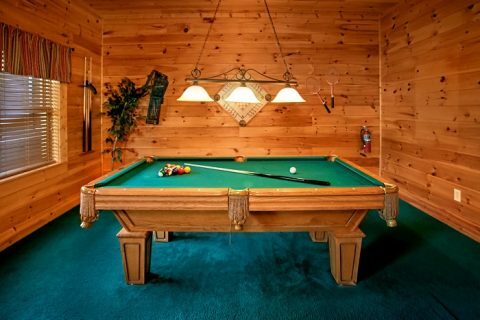 Keep the fun going back at the cabin with games of pool, video arcade games, and free WiFi Internet throughout your vacation rental near Gatlinburg. 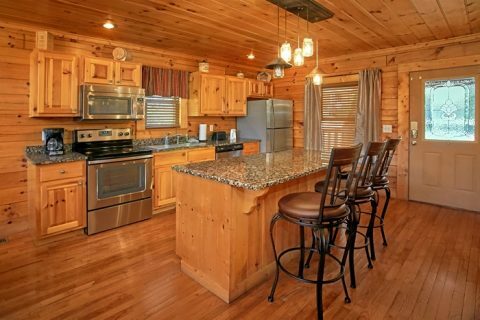 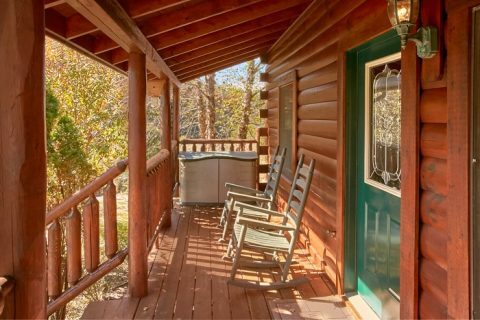 Reserve your vacation rental near Gatlinburg and Dollywood online with Cabins USA Gatlinburg to get your immediate Online Cabin Special and SAVE even more on your vacation in the Tennessee Smoky Mountains!